The aim of this call is to support reviews of topics where the systematic review is seen as a step towards a funding application for a major clinical trial (+/- pilot) funded by an NIHR funding streams (e.g. HTA) or equivalent. The deadline for applications is: 12pm Tuesday 1st September 2015. Applicants will be informed of the outcome of their applications by: Friday 18th September 2015. 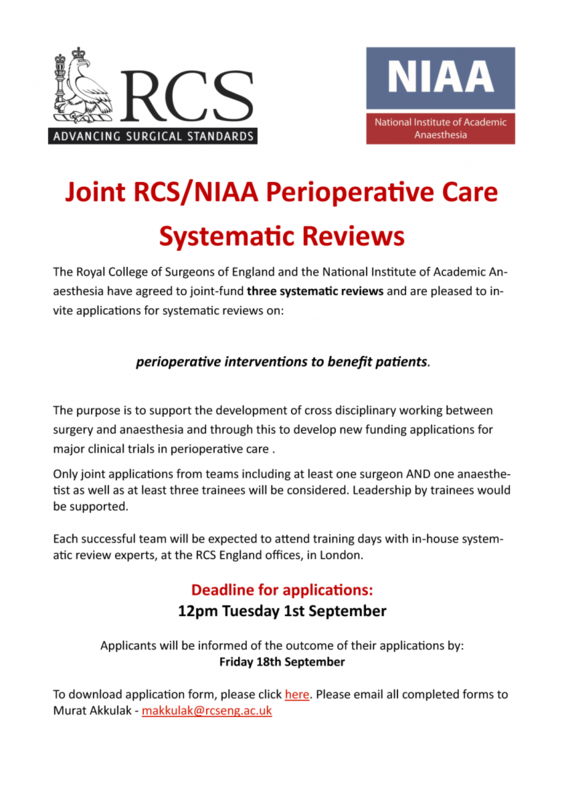 Interviews are scheduled for: Monday 5th October 2015, at the RCS England offices in London.